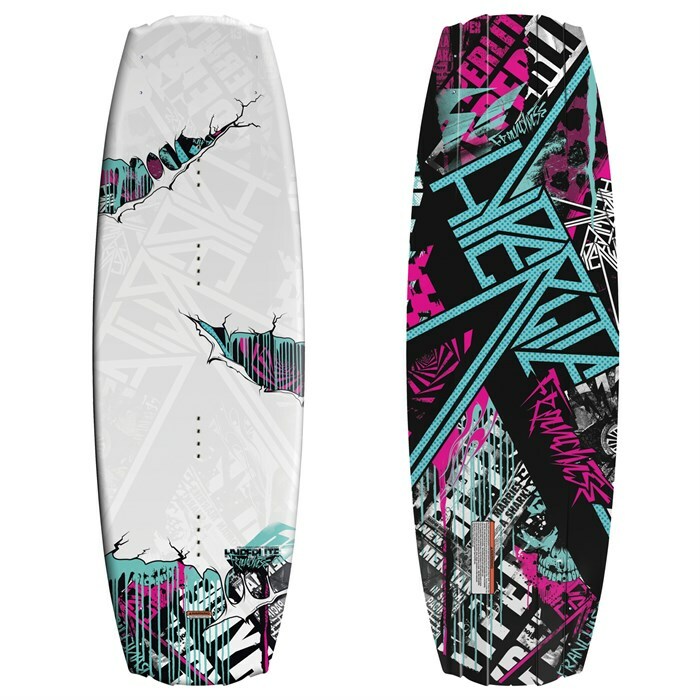 The Hyperlite Franchise Wakeboard is the type of wakeboard every franchise builds a solid base from. A continuous rocker of 2.65" lays the foundation for a fast board that carves and edges with ease. The Hyperlite Franchise Wakeboard’s rocker is largest continuous rocker in the Hyperlite line providing maximum pop off the wake. The innovative and industry first Tapered Channels narrow at the tip and tail aligning the Dual Fin Configuration to increase the boards edge hold on approach to the wake. With any approach style, the Hyperlite Franchise Wakeboard will deliver a pop off the wake like no other. The overall profile of the board and reduced tip and tail profile reduce swing weight for simple rotation on flat and inverted spins. 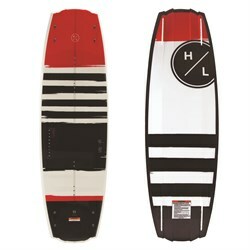 On landings we found that Jim never touched down dead flat, the Hyperlite Franchise Wakeboard incorporates 2 soft landing spines for cushy entries on either edge. Shaped by Greg Nelson for our Franchise rider, the LaRiche Pro Model will provide any Wakeboarder an unforgettable ride. Variable Edge Design  soft in the center and sharp on the tips and tails, creating a forgiving loose feeling while still allowing for great acceleration across the wake. Enduro Base  helps to prolong the life of your deck without sacrificing the ride. This exclusive base is a blend of the lightest most durable materials Hyperlite offers. Enduro Base is great for keeping your board circling the local cable but also performs equally as well behind the boat.